Pearson, one of the world's largest publishing groups and owner of the Financial Times newspaper, today said it had increased its stake in Indian education firm TutorVista to a controlling level of 76 per cent, for Rs.577 crore (about $125 million). 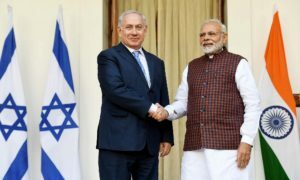 The deal will expand Pearson's business in education in India and in global online tutoring, the company said, adding that it was one of the biggest transactions ever in the Indian education sector. 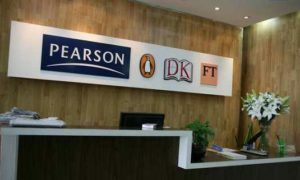 Pearson is a global media, education and publishing group, represented by market-leading businesses such as the Financial Times, Pearson Education and Penguin. The global publishing firm had acquired a minority stake – 17 percent – in Bangalore-based TutorVista in June 2009. With the recent transaction, Pearson's total equity investment in the company has gone up to Rs.631 crore. India's government currently invests about $40 billion each year in revamping and re-hauling its schools and colleges across the country, while consumers spend an almost equal amount on private educational institutions and services. Both segments of the market are growing rapidly, with further spending envisaged by the federal government in implementing the Right of Children to Free and Compulsory Education Act across the country. TutorVista is primarily engaged in providing online tutorials to students in North America, supplying digital content and technology platforms to schools and providing services like curriculum design, teacher training and school administration services.